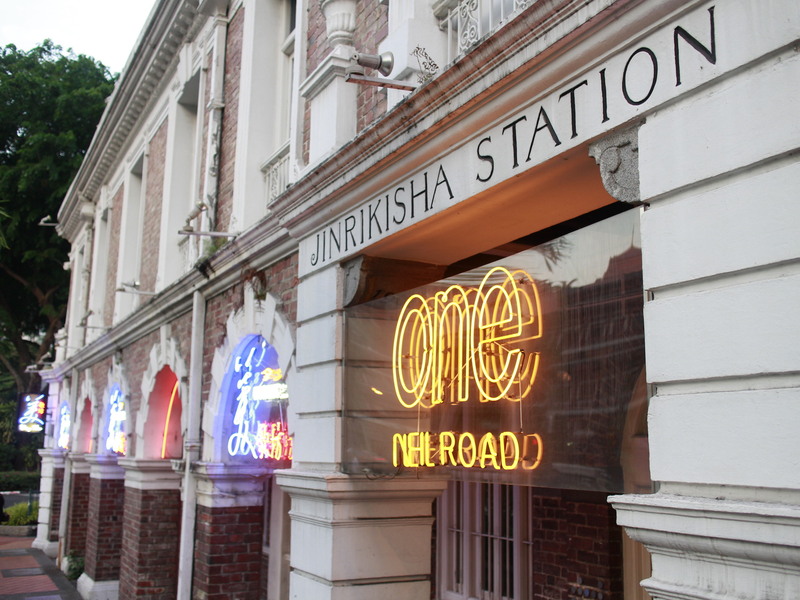 Located across Maxwell Hawker Centre, at the junction of Neil and Tanjong Pagar Road, stands the Jinrikisha Station. 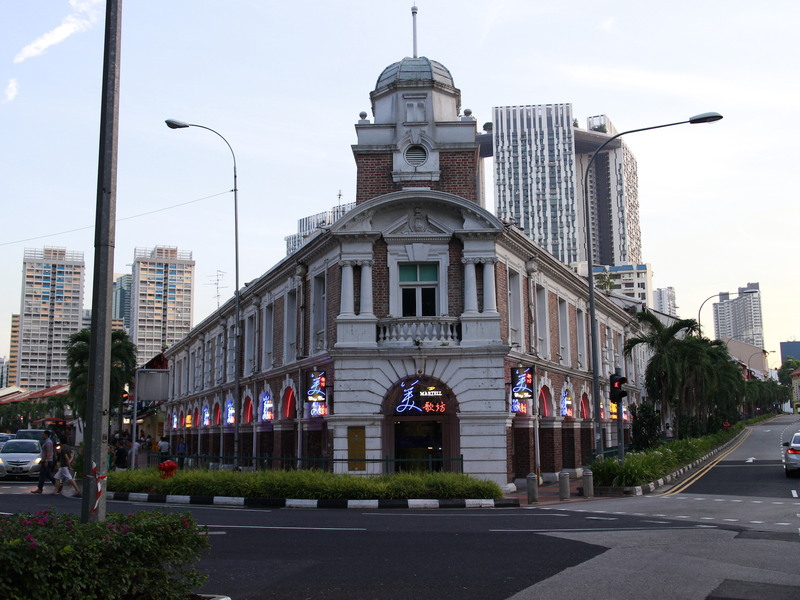 Built in 1903 by Municipal Engineer Samuel Tomlinson, this symmetrically triangular-shaped building with a unique Octagonal cupola (dome-like structure), once served as the Headquarters for one of the earliest forms of public transport in Singapore, the Rickshaw. In fact the term Jinrikisha itself means ‘human-powered vehicle’ in Japanese, having been invented in Japan back in 1869 before it was brought over to the shores of Singapore in 1880. Within years of its arrival, the Rickshaw became a popular, faster and also cheaper mode of transport, so much so that the Jinrikisha station was setup to serve as the interchange for travellers and pullers alike, with a particular interest in people alighting and heading to the docks along the Singapore River. 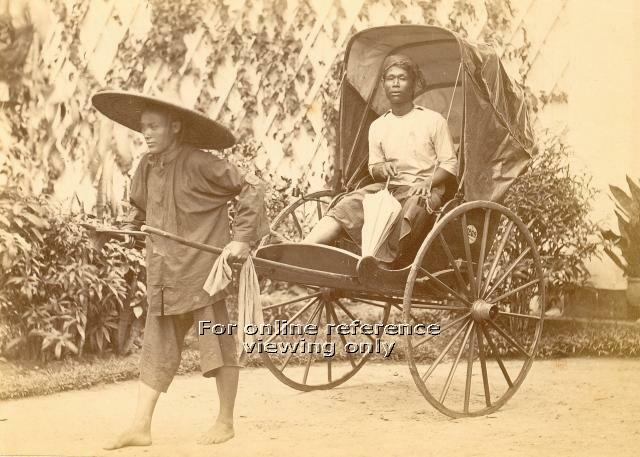 The Rickshaw served as a primary source of income for many Chinese immigrants, most of whom wheeled double-seater carriages barefooted to boost their earnings. The first batches of Rickshaws were mainly made of pinewood with iron wheels, and it was only in 1904 that the first-class single-seaters were introduced, complete with “English wooden furniture” and “Indian rubber-cushion-tyre wheels”. Rickshaws were used by both locals and foreigners alike, as well as to transport goods, manure and even cadavers. So great were their numbers that in 1939, it was even mandatory for them to have taillights and rear-reflectors! The harsh conditions of the Rickshaw pulling however soon saw the outlawing of Rickshaws in Singapore come 1947, with the more feasible mode of trishaws and eventually trams and buses taking its place. 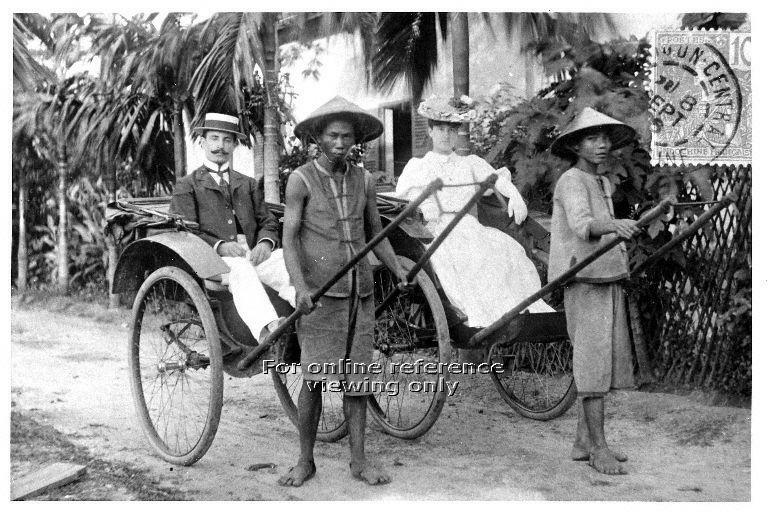 Foreigners and locals alike took the RIckshaw as it was faster and cheaper, a very similar trait we find in Singapore today. Image taken from the National Archives of Singapore. As for the Jinrikisha station, the end of the Rickshaws spelt its eventual closure. 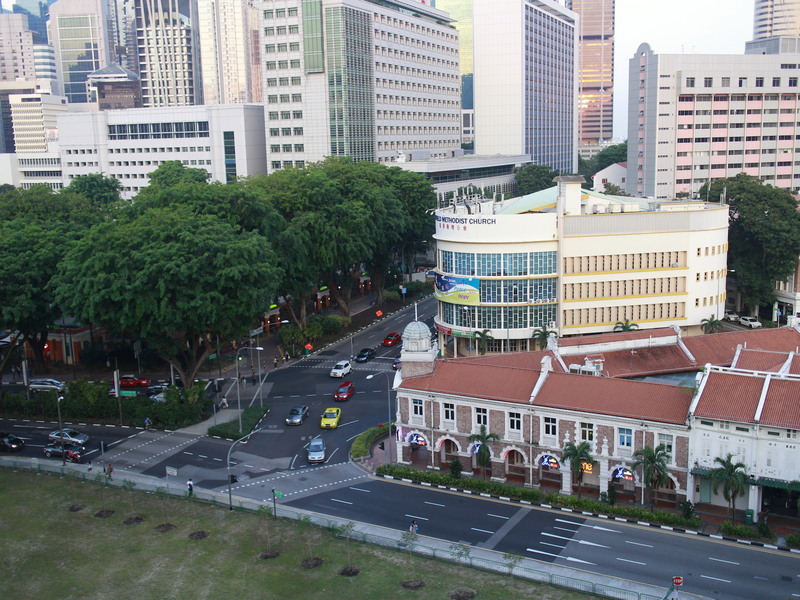 Over the years it has been used as a family-planing clinic and childcare centre before being included as part of the Tanjong Pagar conservation area in the 1980s. In the 1990s it was given a facelift by L. B. Holdings and houses offices, restaurants and many KTV bars today. Interestingly this place was actually bought over by famous movie star Jackie Chan together with Emil Chau for the sum of $11 million back in 2007. A view from above where one can imagine hundreds, if not thousands of Rickshaws and travellers once flocked to.